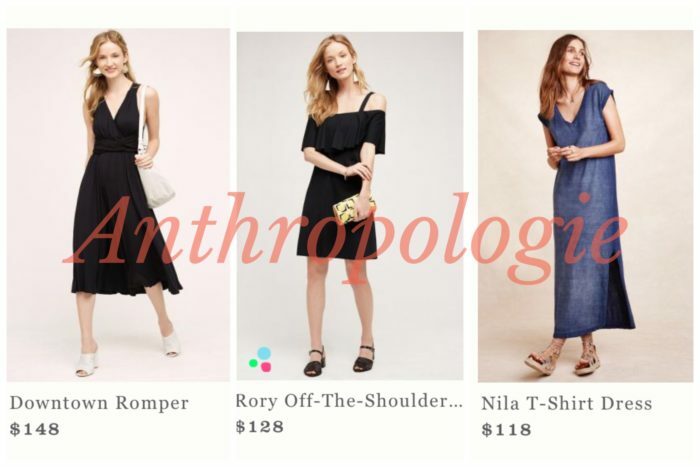 Totally underrated and pushed aside, at least in my closet, is the hardworking t-shirt dress – and why? Not exciting enough? To simple? 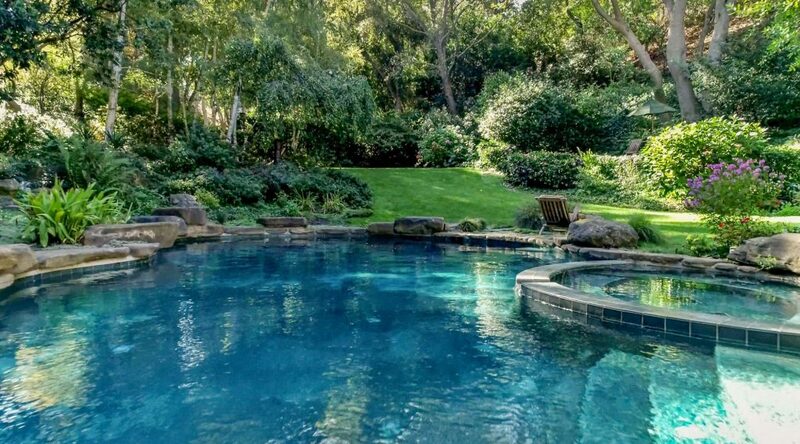 Not worth the splurge? Whatever the reason, when I worked through my closet in June – this was largest void in my closet. Everyone can use a easy-going knit dress or two, especially in the summertime. One you can just throw on with a pair of simple hoops and fun sandals – off you go! It’s easy, when you know what you are shopping for. For me, I think of what my favorite t-shirt shape is, and go from there. We all love our favorite tee, what is yours? Is it a boatneck, tank style, racerback, cap sleeve, 3/4 sleeve, vneck; slub cotton, stretch knit, 100% cotton? You get the idea. 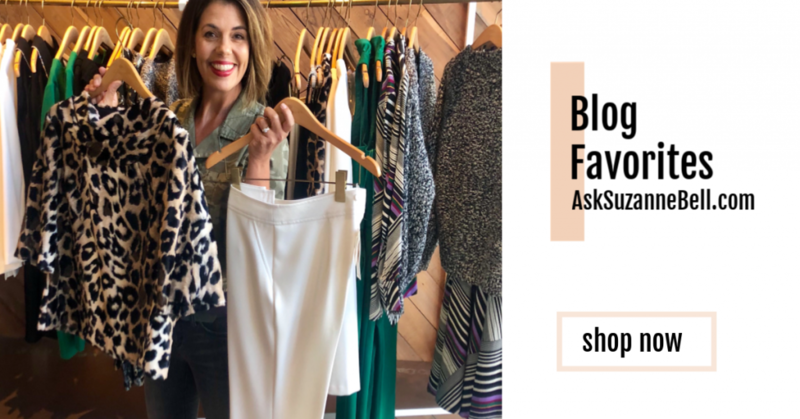 For me, I love a racerback, or v-neck tank style – these work best with my narrow shoulders. 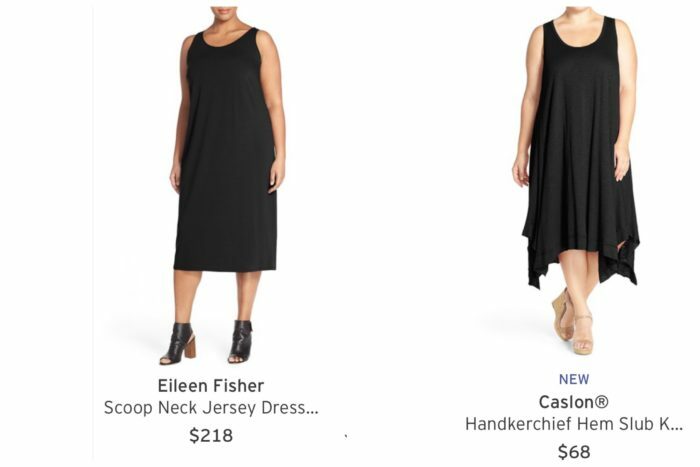 Truth is, I have been looking for a simple black knit summer dress for awhile, and was thrilled when I came upon this simple v-neck, StyleMint knit sheath over at ThredUp for $17.95. 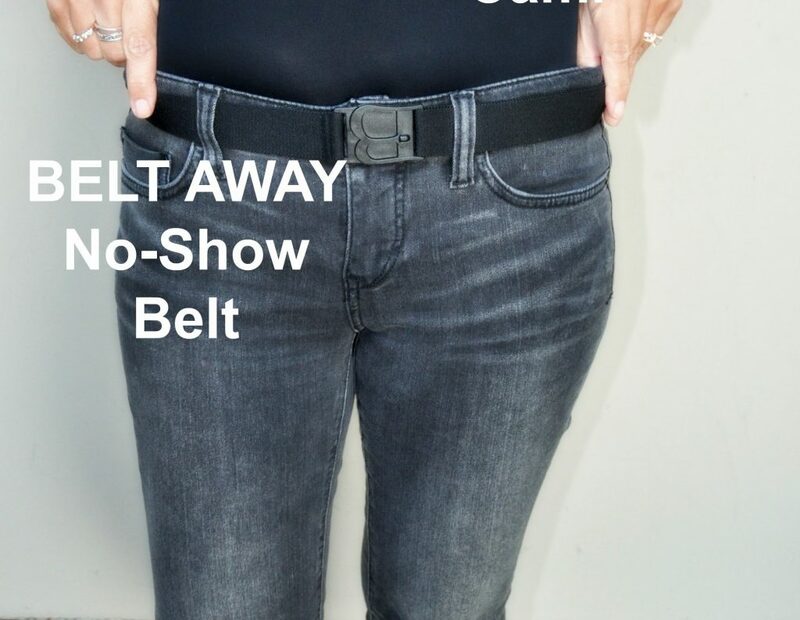 Easier than throwing on a t-shirt and jeans – you don’t need the bottom. Done, with one pull over the head! 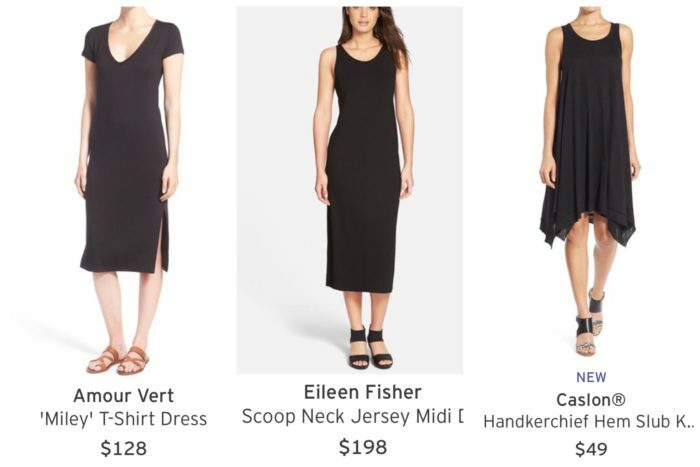 There are ton’s of great T-shirt dresses out there right now, I’d start with the retailer that you normally grab your favorite tees from. A great transition piece, and available in 3 colors (HERE) ; I plan to layer this with a denim jacket, leather jacket, kimono sweater, poncho..you get the idea. This is a fabulous piece and if you love James Perse, I say go for it. I bought the dress in both the tan above (which is actually more olive in person), and the eggplant. I planned to only keep one, but I love the style so much I am thinking of keeping both. The Joie cardigan (right) is a fabulous piece as well,and I can’t wait to wear it in November (LOL!). 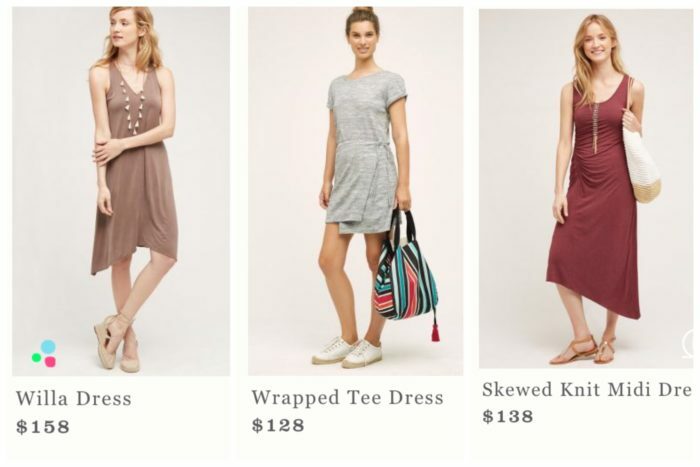 It’s cute styled over the James Perse dress as well. The Missoni Stripe Poncho (HERE in 2 colors) is a keeper. I can see this styled with a dress or skirt as here or with denim for Fall. Do you own a t-shirt dress? 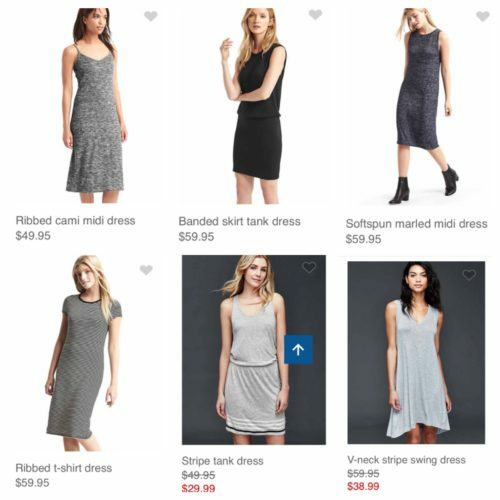 Do you find knit dresses, to be an easy go-to? 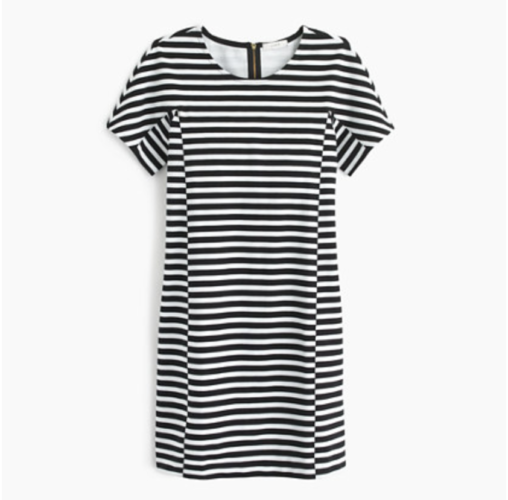 Anyone else pick up the James Perse dress over at the Anniversary Sale? 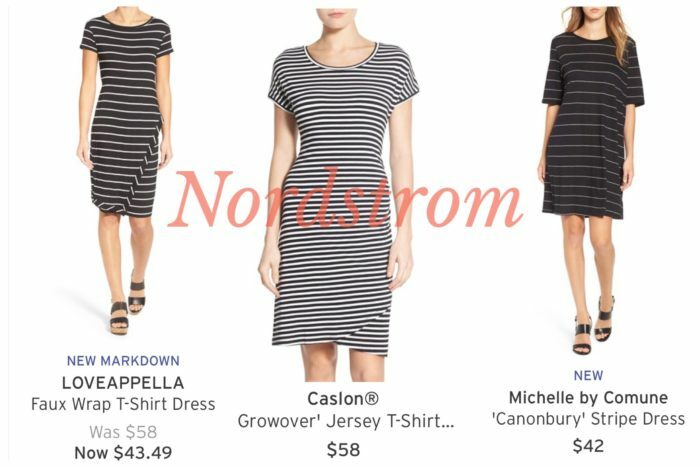 The Nordstrom Anniversary Sale is till on, but prices go up soon! Check out my Catalog Picks HERE and my in-store reviews and picks HERE. I don’t own a t-shirt dress at the moment, but I wish I did. 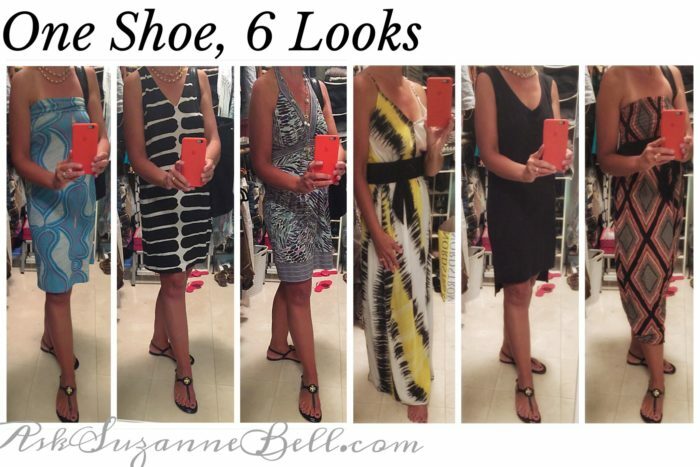 A great t-shirt dress is so versatile! Your black one is great, and I love the striped options! I’m all for a good tee dress. They’re so beautifully versatile, season after season.